Liberia’s former soccer star turned president, George Opong Weah has rained encomiums on the legends of Nigerian football, with an emotional declaration that two of the Super Eagles’ late icons, Stephen Okechukwu Kershi and Rashidi Yekini, as well as Friday Ekpo and many others always thrilled him during their active days. 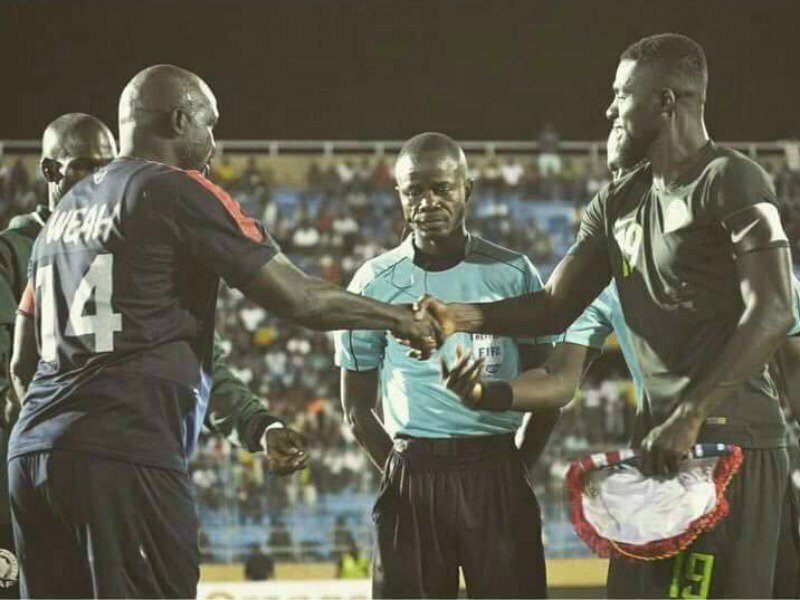 Weah declared after Tuesday’s international exhibition match in which he dusted his boots after almost 15 years of retirement to captain his country against the Eagles that he had always been impressed by the quality of Nigerian football even when he was a kid. 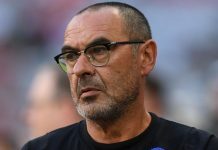 The only man ever to be crowned African, European and World Footballer of The Year, which he achieved in 1995 while playing for AC Milan of Italy, said he was much honoured for Nigeria Football Federation (NFF) to allow the Eagles play against his country’s side. Though the hosts lost the match 2-1, Weah said he was excited to dust his boosts, alongside his heyday teammate, James Debbah, thrilled with the ceremony that saw his famed jersey number 14 rested for ever in Liberian national team history. Weah and Debbah led the Lone Star against the Eagles in a game played in an ambience of warmth, mutual respect and good spirit. 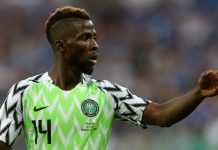 Henry Onyekuru and Simeon Tochukwu Nwankwo (Simy) both scored for Nigeria in the first half of Tuesday’s game, while Liberia’s Lone Star got one back via a penalty kick in the second half when Semi Ajayi handled the ball in the box. NFF second vice-president, Mallam Shehu Dikko and executive committee member, Alhaji Ibrahim Musa Gusau led the Nigerian delegation to Monrovia, for which President Weah also commended the visitors. Speaking after Tuesday’s match at Samuel Kanyon Doe Sports Complex in Monrovia, Weah stressed that Nigerian Football has always inspired him. While commending Nigeria for helping him celebrate his contributions to football, Weah said Liberians look up to the pedigree of their Anglophone West African neighbours pedigree in the round leather game and are working hard to reach same level. Weah hailed Nigeria as a great and worthy ally in international community development, and described the country’s football culture and impact as a model that he wants Liberia to follow. The ex-football star reckoned that Nigeria is playing a leading charge in the search for future stars of football for Africa and reckoned that the continent will one day produced another FIFA Ballon d’Or winner, to emulate his feat of 1995. Weah recounted: “As a young, upcoming footballer, I was always fascinated by Nigeria’s football stars. 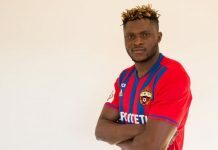 I looked up to the likes of Stephen Keshi, Rashidi Yekini, Friday Ekpo and others and believed that the African footballer can also get to the very top.